A versatile voice with a rich, warm quality coupled with a huge vocal & dynamic range. 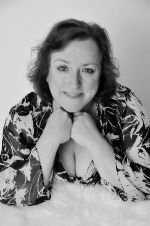 Based in Bracknell in Berkshire, Louise Herrington a dramatic soprano in Berkshire specialising as a singer for Weddings, theatre, cabaret, care homes, and corporate events. Louise grew up in the home counties in England. Having studied voice privately, she went on the English National Opera 'Knack' performance course the first year it was run. She can be seen performing as a wedding singer in Berkshire and home counties, concerts, musical theatre events along with cabaret events in and around Berkshire. This is the official website of Louise Herrington and Belle Voix. This site will keep you up-to-date on their latest concerts and performances in and around the Berkshire, Buckinghamshire and Hampshire areas and give you information on how to hire an opera singer / musical theatre / cabaret singer for concerts, corporate events and a singer for weddings. If you wish to make a booking enquiry for Louise to provide enterainment for your event or social, please use the booking form at the the bottom of the website.